For Apple Calendar, copy the link. For other Calendar apps, click the link to download the .ics file. See more instructions below. 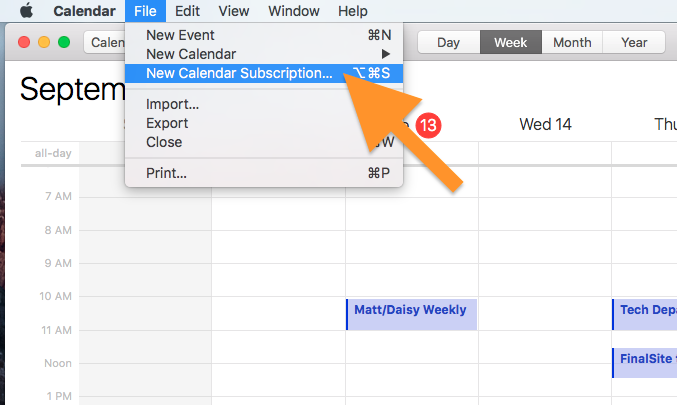 How to subscribe using Apple Calendar (formerly iCal). 1. Copy the link for the calendar. 3. Right-click (Ctrl + click) and paste the link you copied into the dialog box. 4. 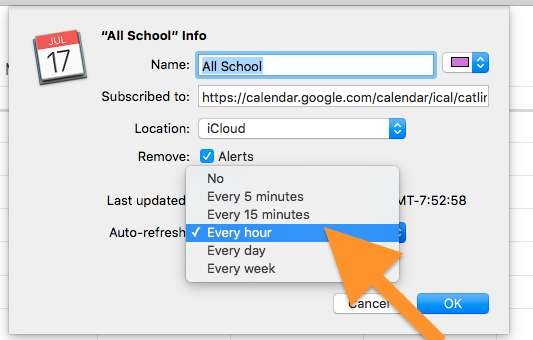 When the next set of options appears, click the Location dropdown menu to choose where you would like to save the calendar. 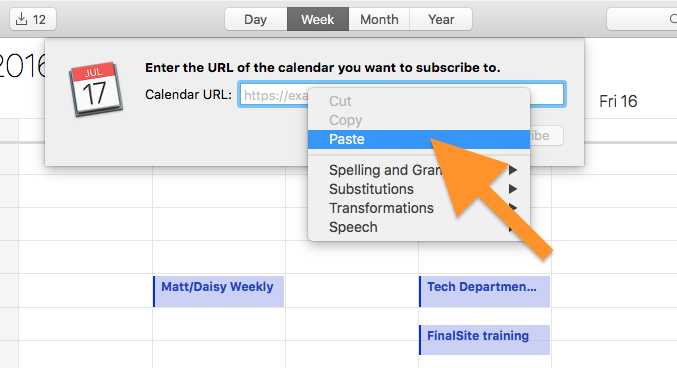 If you have iCloud calendars set up on your iPhone, iPad, or iPod, choosing iCloud as the location will automatically sync the subscribed calendar to your mobile device. 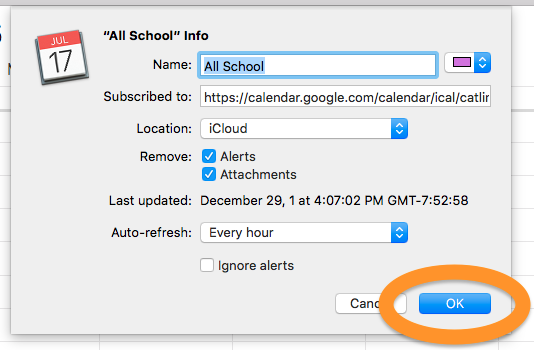 If you do not need to sync the calendar to other devices, just choose On My Mac. 5. Click the Auto-Refresh dropdown menu to choose how often you would like the calendar to update. 6. Configure any other settings to your liking and click OK to finish subscribing. 1. Click the links at the top of this page to download the .ics files. 2. Open the downloaded file (it will be named "basic.ics"). This should open Outlook and automatically subscribe to the chosen calendar. If not, find the basic.ics file on your Downloads folder, right click and choose Open with... and select Outlook. Note: If you are using Outlook for Mac 2011, you can also subscribe to these calendars in Outlook. 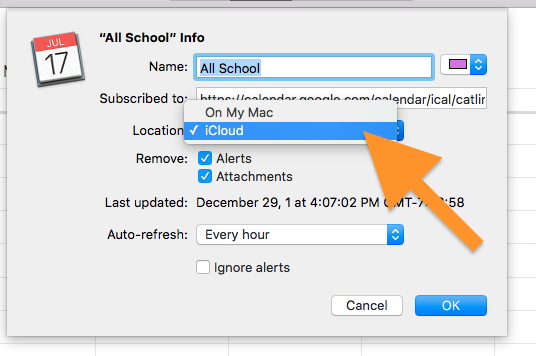 Outlook for Mac 2016 no longer has the Internet Calendar Subscription feature.